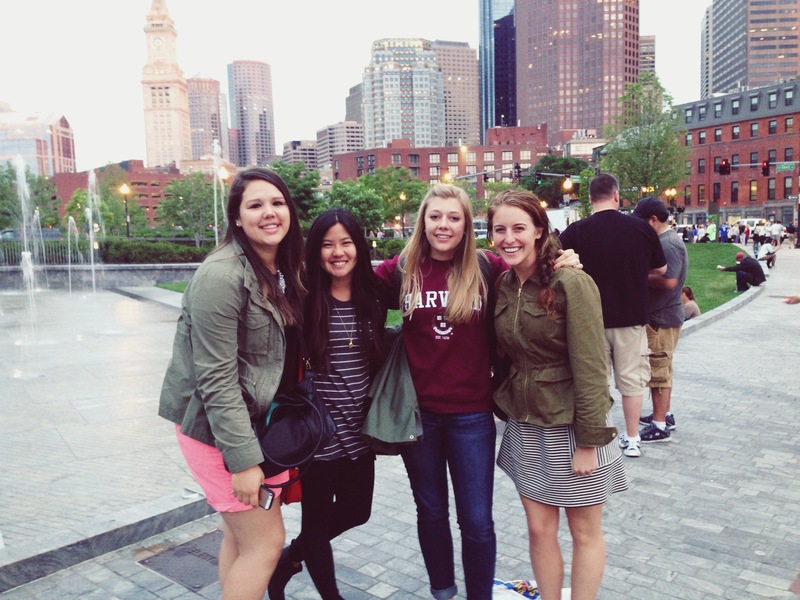 Sam, Kylie & Natalie came all the way on a bus from NYC to Boston to visit me!! I was so happy to see them because I’ve been missing my NYC friends so much. They got to my apartment late Friday night & it was sooooo good to catch up with them. I basically had 24 hours to show them the city so on Saturday we were up bright and early! 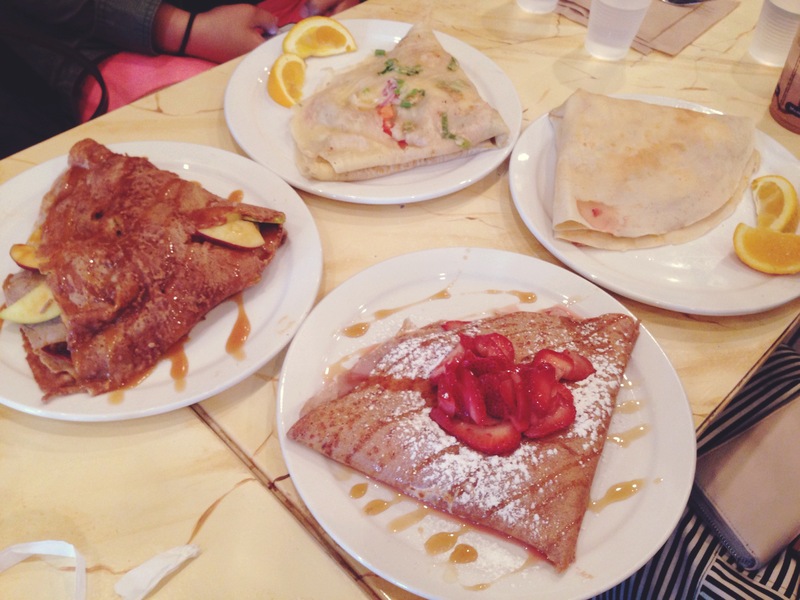 Natalie’s sister went to BU and I live in BU Housing so she took us to a cute crepe place for brunch in Coolidge Corner just a stop away from my apt. 2 words: NUTELLA SHAKE. Heaven in a cup. So delicious. Plus the crepes were to die for. After brunch, we got on the train to get to the Prudential Center to shop around and explore another part of Boston. As we come out of Copley Station, the Boston Pride Parade was going on!! Everyone was so happy and it was so fun! 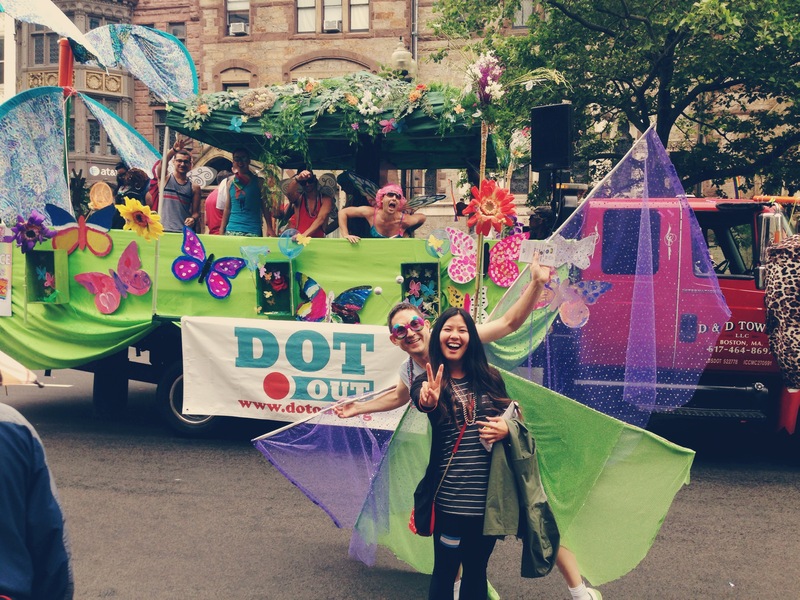 Plus, we got free candy and a ton of beads HAHA. It was a good time and I’m glad we ran right into it. Boston Commons is a popular place for street performers. On every corner, you’ll find someone who has a lot of talent but they just want your money! 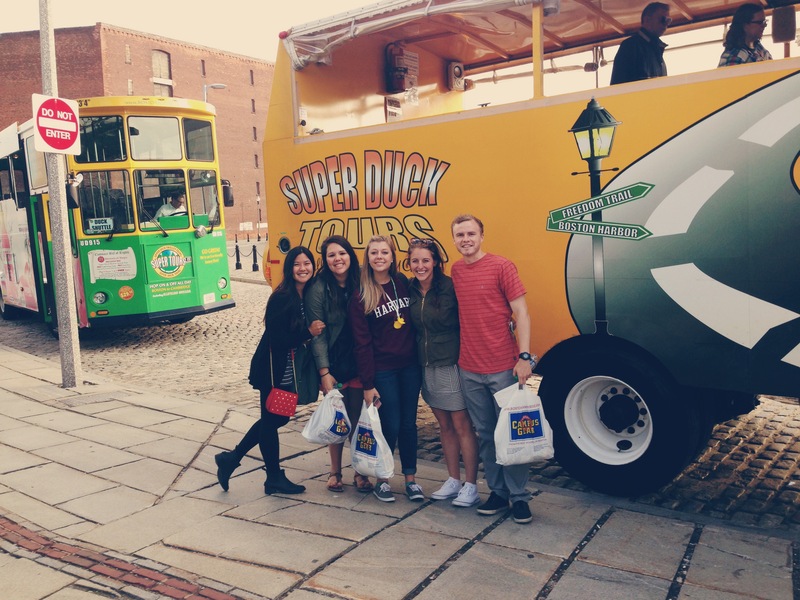 As we were walking by Quincy Market, a Duck Tour guide stopped us and tried to sell us tickets to the last Duck Tour ride of the day… Since the boat wasn’t full he needed to sell the tickets no matter what. 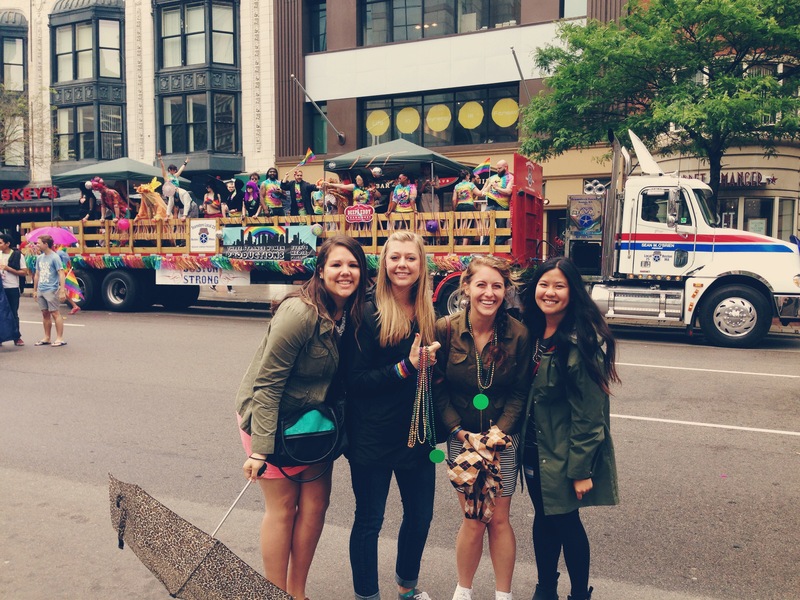 He gave us a sweet discount and then we found ourselves on a Duck Tour! AKA 45 minutes on land and then on the same bus… it turns into a boat and we are in the Boston Harbor for another 45 minutes. 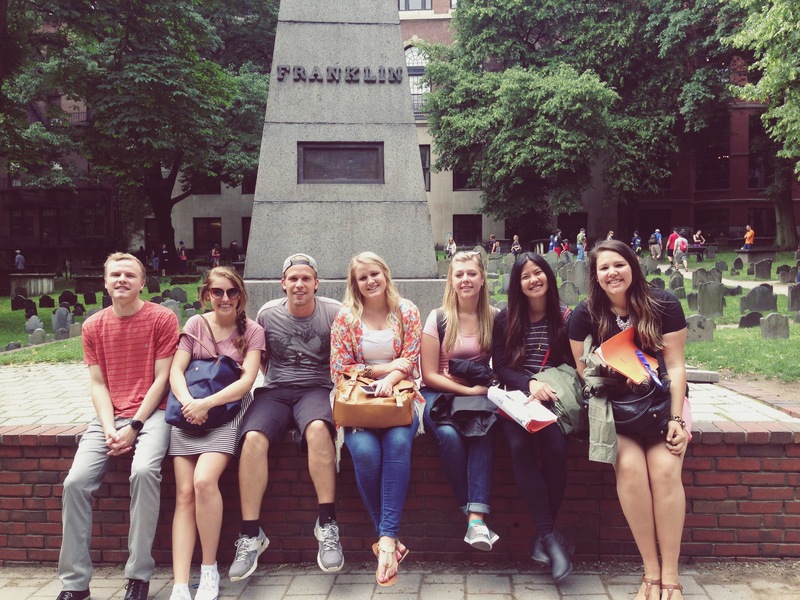 We saw a lot of the Freedom Trail and our guide was hilarious and it seemed like she really loves her job! 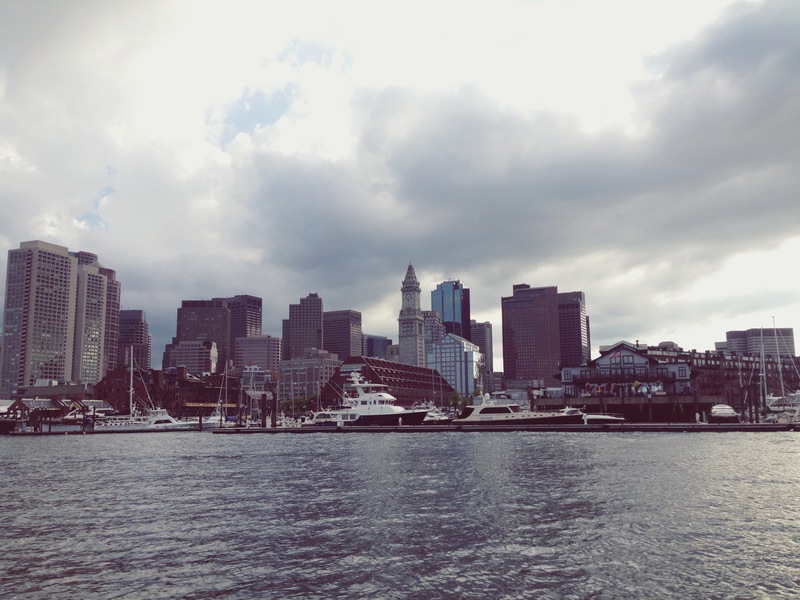 Seeing Boston from the water is absolutely an amazing view. It was raining most of the day and when we got in the water, the weather was perfect. We could not have asked for a better day to do it. We ended the night eating dinner at The North End while watching the sun go down. Probably my favorite things in life are picnics outside and the sunset / sunrise. We traveled to Cambridge to tour Harvard University and ate our Mike Pastry’s. 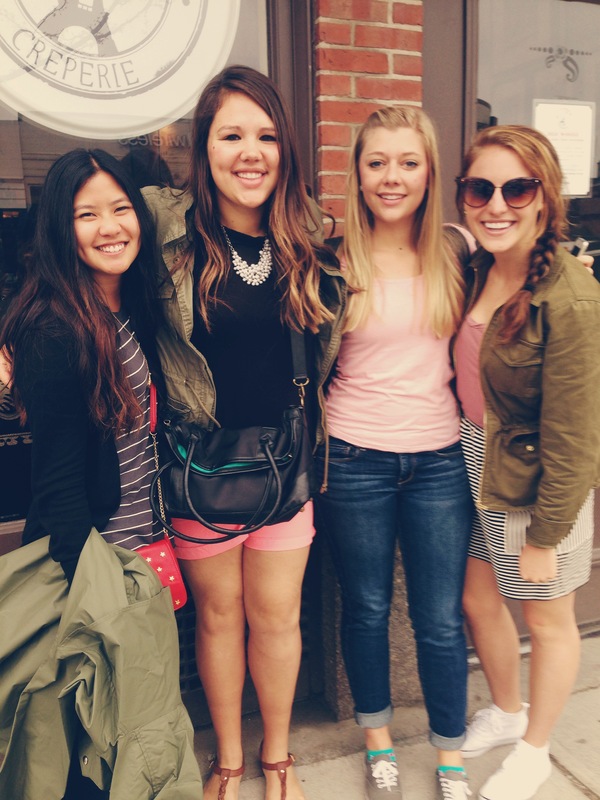 I love these girls so much! 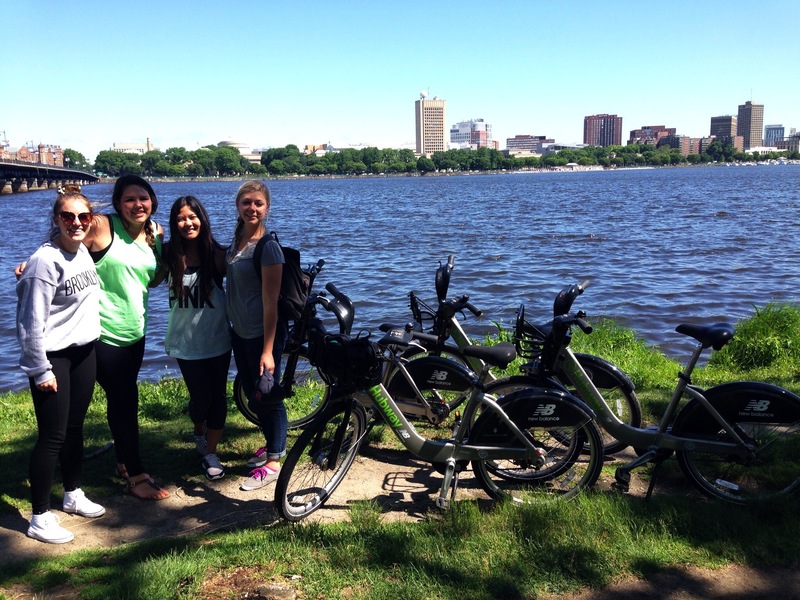 On Sunday, we had the chance to ride bikes along Charles River before they went back to NYC. Another perfect, sunny day! 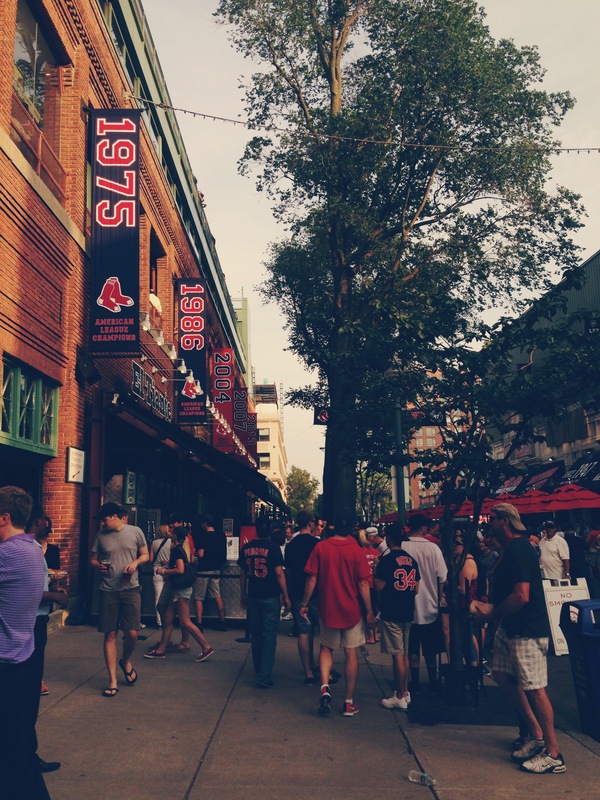 We also stopped by Fenway which is a 5 minute walk from my apt! Sadly, they had to go back to NYC so I was on my own after that. My church starts at 2:30 and it’s in Cambridge, so it takes about 45 minutes to get there with 2 different subways. Luckily, I got there in time and I had such a good time. I really like my new ward! 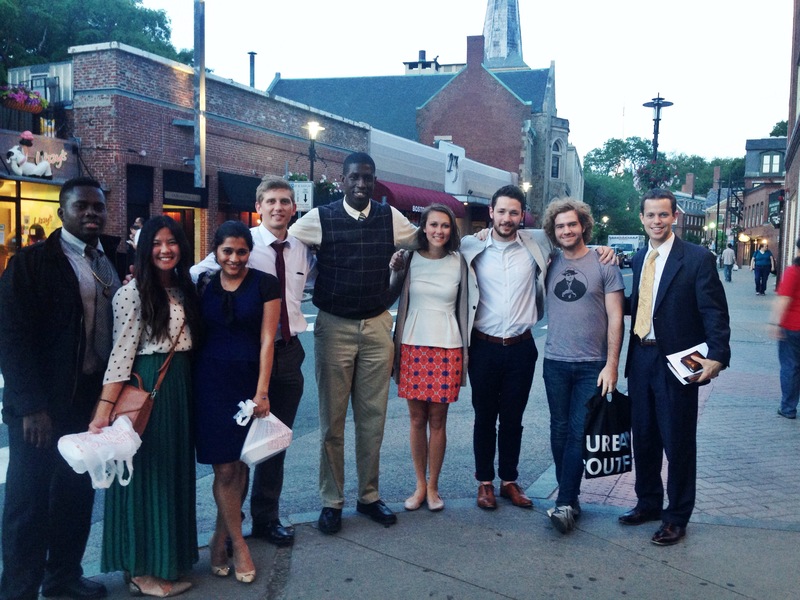 I’m glad there’s other interns from BYU in Boston because we are kind of in the same situation. New city, new job, and new people. I met a girl named Anisha who lives by BU as well and she’s from India! She just graduated in Astrophysics… WHAT? Well, we got a pretty big group to come to dinner at The Border Cafe and it was a lot of fun. I’m glad I’m making new friends!! 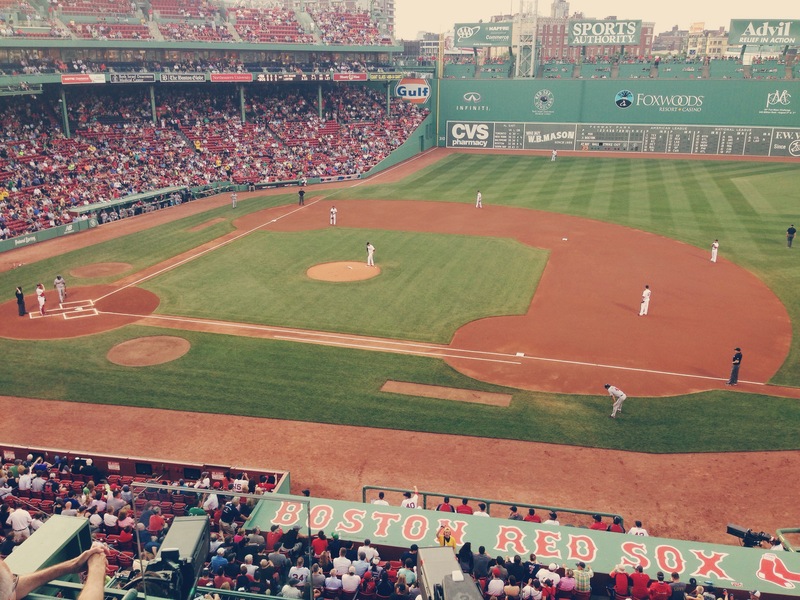 On Tuesday, my team at Hill Holliday invited me to a Red Sox game!! Not just any Red Sox game but, a ticket to Hill’s private suite!! I’m so grateful that they invited me because I had the chance to talk to everyone on the team and get to know them on a personal level. I got to know one of the creative directors really well and PLUS unlimited amount of amazing food. From famous Boston Hot Dogs and chicken fingers to Cracker Jack!! & yummy yummy ice cream in a cute baseball helmet. So where Hill’s suite is, that is where all of the foul balls come flying to! I was dodging baseballs the whole night! There was this one time, where it literally looked like it was going to hit me right in the face and as it’s coming at us so fast, my boss who’s sitting behind me screams and I guess she blocked it with her beer can because beer got all over her! But, really it was her boyfriend who hit the ball away with his hand and she just got so scared and poured the beer on her! hahahaha this story doesn’t do this moment justice. It was hilarious. My internship is going well! Hill Holliday’s Summer Intern Program is very organized and they want us to do our very best so we can shine in the agency. While my first week, it was just me and the other MAIP Intern, Ben. Now there’s 35 more interns who just started on Monday. It’s a LOT of interns. We got put into teams for the new business pitch we have to do at the end of the internship, we are taking “ADucation” classes to get familiar with all of the disciplines within the agency and we often search for free food on all the floors after 1PM. 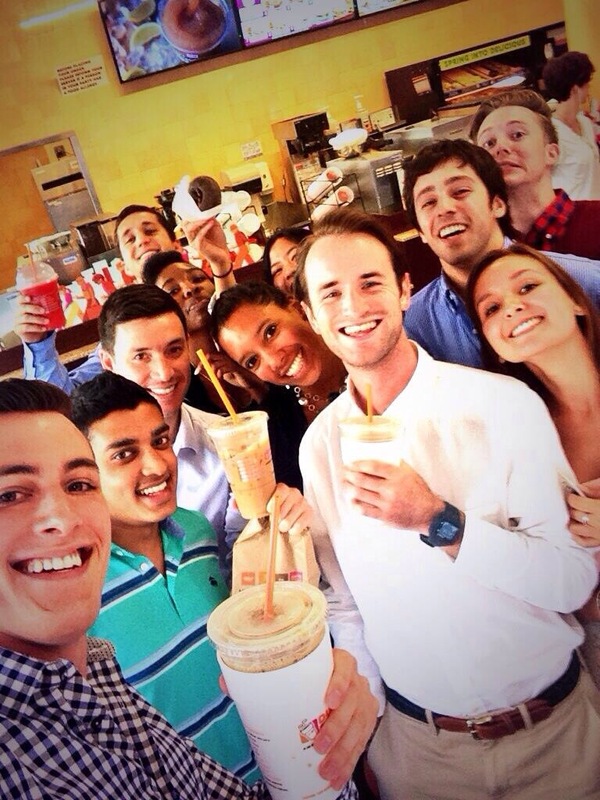 It’s a lot of fun with all the interns in one place. 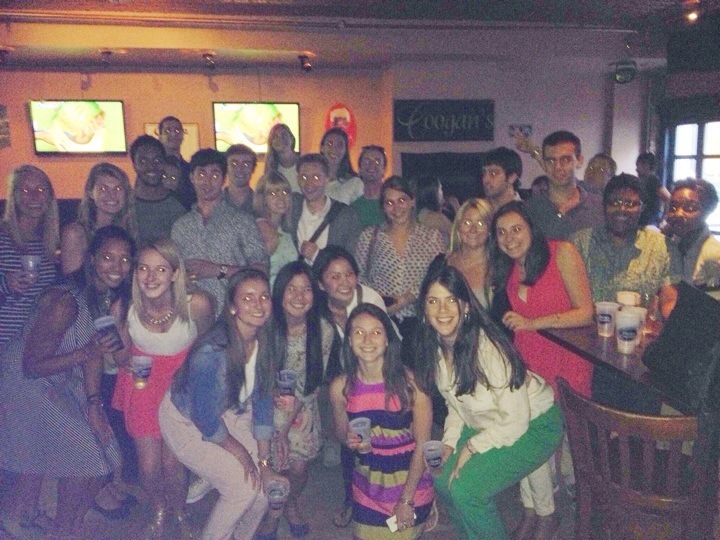 Tonight we celebrated Thirsty Thursday at Coogan’s Pub. SO FUN. & if you’re still reading this: THANKS!